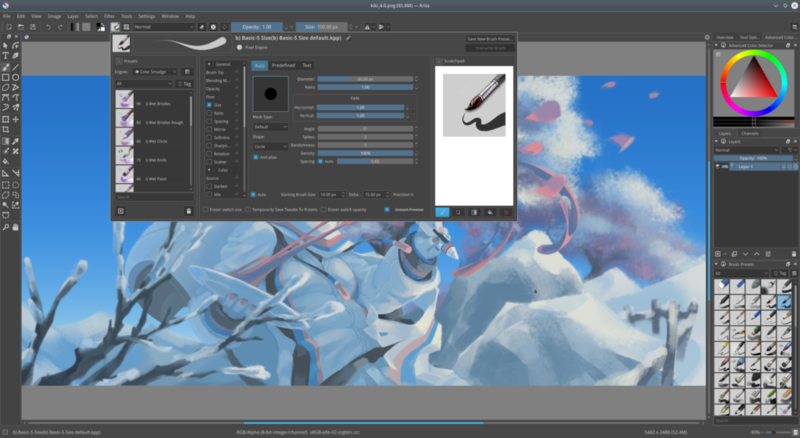 Krita Painting is an incredible painting platform really inspired by artists for artists. Although its development as an application has gone through a lot, its history of about 20 years has now surpassed every expectation. It is one of KDE’s favorite Open Source apps. is an ideal tool for both amateur and professional artists, and has been particularly loved by cartoonists. It supports almost all formats, making it easy to use images with other applications as well. 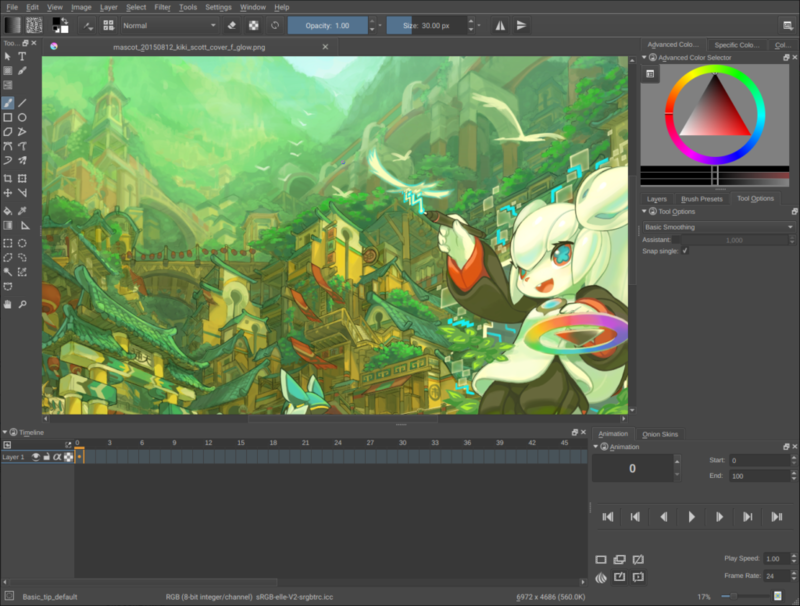 It comes in two versions, Krita Desktop and Krita Gemini , with Gemini being available only through Steam. Analyzing all its potential here is quite difficult. But, besides tutorials you can find on YouTube, Krita’s creators have an extensive Manuals library that will help you a lot in your first steps. We strongly recommend this as we’re expecting some developments in 2019.